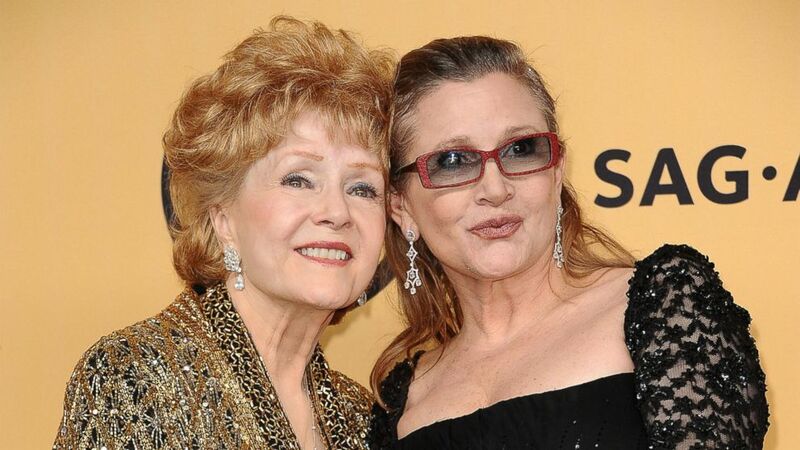 The death of actress Debbie Reynolds (born April 1, 1932) Wednesday night, one day after her daughter, actress Carrie Fisher passed away, Indeed powerfully affected by impact during a long plane flight. Noting There are no such things as accidents, nor circumstances, only subtle cosmic consequences as a well-ordered the above, during a deadly waning moon in Scorpio that a mother would die so soon after the unexpected loss of her daughter. The science of Astrology is a language of symbols which offers a profound representation of human experience if you understand these stars of language, then cosmic God speaks to you. This cosmic consciousness will lead ￼you towards the understanding between life and death. And Fisher has been a longtime advocate for mental health awareness, drawing from her own struggles with bipolar disorder but unfortunately Currently the negative Tail of the Dragon is afflicting the sign of Pisces and Universal transit of Mars (desire) in Pisces (addict) touch her 6th house of health. Pisces is emotion roller coasters with bipolar disorder and is overly sensitive to everything so she drank and do drugs is her desire to cover up or avoid some sort of emotional pain. Neptune “Lord of the Seas”s deceiving influence on her behavior and mind. so now talking about actress Debbie Reynolds born with Dragon Pisces/Virgo axis in the beginning year of 1932 and ending her life in the year of 2016 Dragon Pisces/Virgo axis is a prefect cycle and also It takes Uranus 84 years to complete its revolution around her natal Sun. Hollywood Icon Debbie Reynolds Dead at 84. According to Universal “Pisces emotion roller coasters” Transit chart, that’s part of impact her unexpected loss of her daughter that cause Sun or the sign of Leo control the 5th house of *heart / love that plays main role in the suffering of heart. Blood pressure of the 5th house also causes diseases of chest/stomach. She was born in April. She is Aries conjunct the planet Uranus also rules sudden, shocking power and natural disaster which that shock comes from Debbie Reynolds body’s reaction to stress or trauma. Stress always begins and ends for Aries, within her head. From a medical aspect of the star’s perspective, Aries rules the head of the body, the brain and the skull that lead to dies of a stroke.